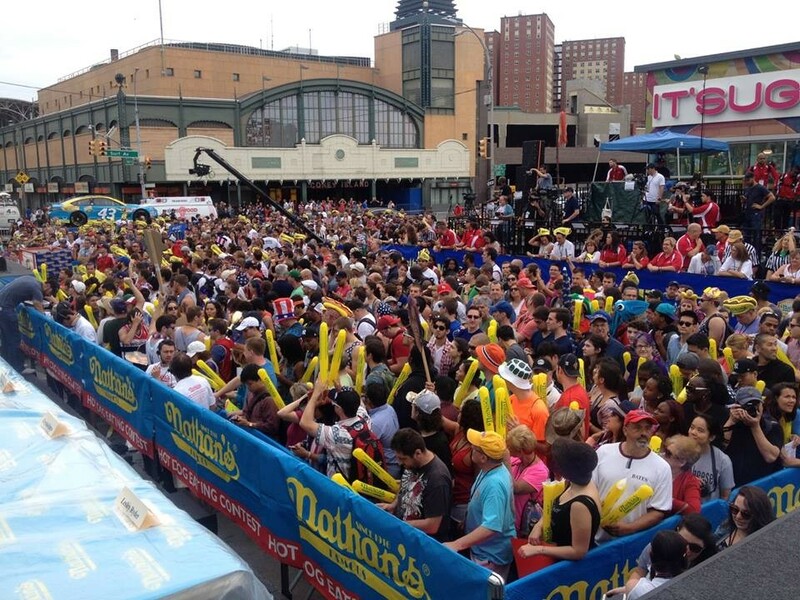 The Nathan's Hot Dog Eating Contest is a world famous event drawing a crowd of more than 30,000 people. 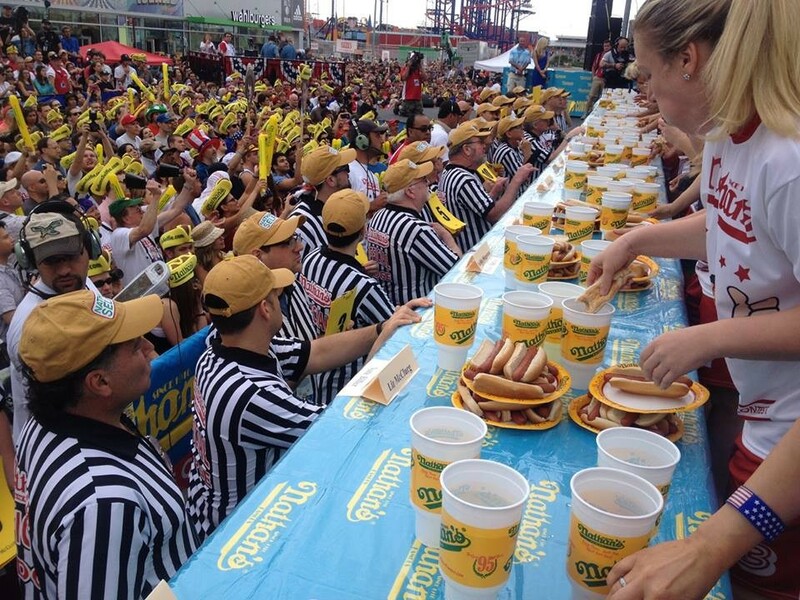 Held each year on Independence Day at the original restaurant of Nathan's Famous Hot Dogs in Coney Island, a neighborhood of Brooklyn, New York City the competition is considered to be the preeminent competitive eating event in the world. 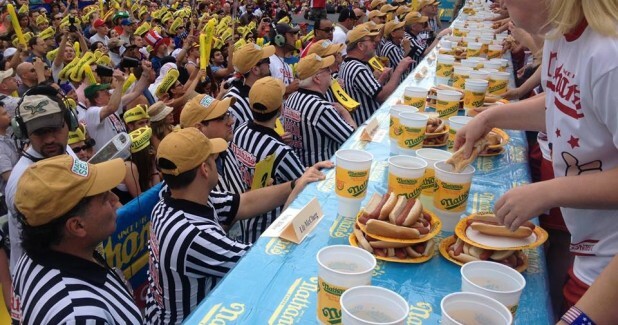 A tradition that started in 1916 when two friends competed to prove each other’s patriotism, the once intimate event has now grown to be a nationally televised ESPN sensation. And because the audience size has grown along with it, booming voices and megaphones are no longer enough to reach the crowd. 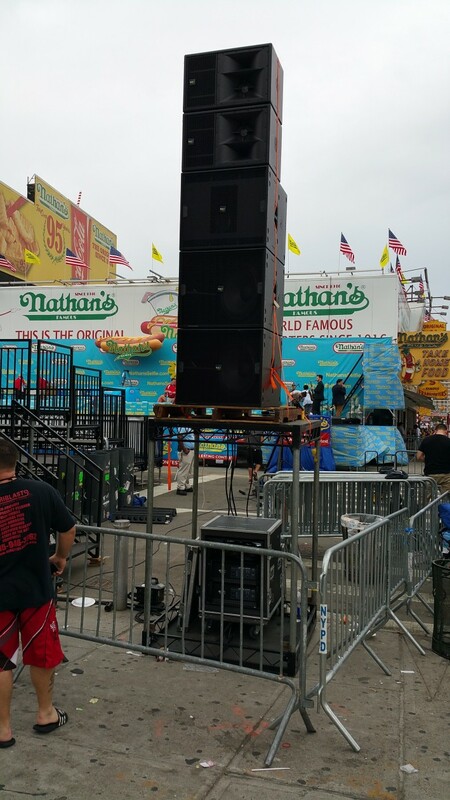 With thousands of people now gathering annually to witness what Nathan’s Famous describes as a “unique sporting event,” the contest now requires nothing short of a powerful sound system. 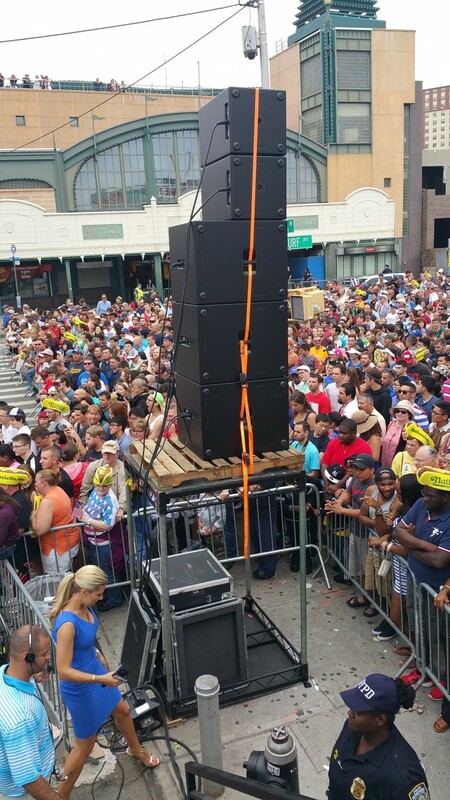 This year, PLUSMUSIC and Audio Production Services, both New York-based companies, were on hand to supply one for this very American tradition. 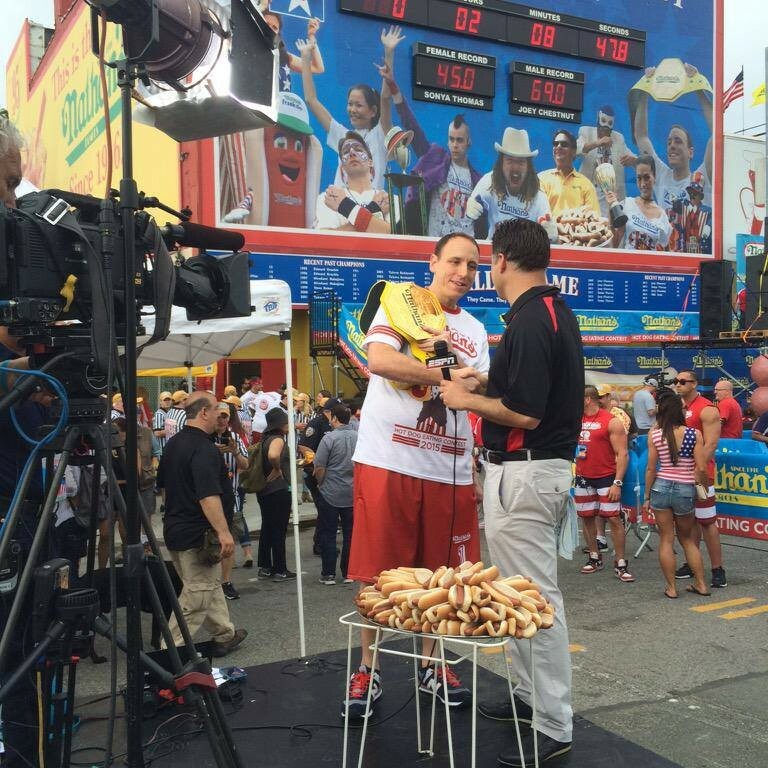 More than 30,000 people were reached with KV2 equipment. Using an ES1.0 system for the main audience at the front of the stage, Nathan used an ES1.8 and ES2.6 on each side. 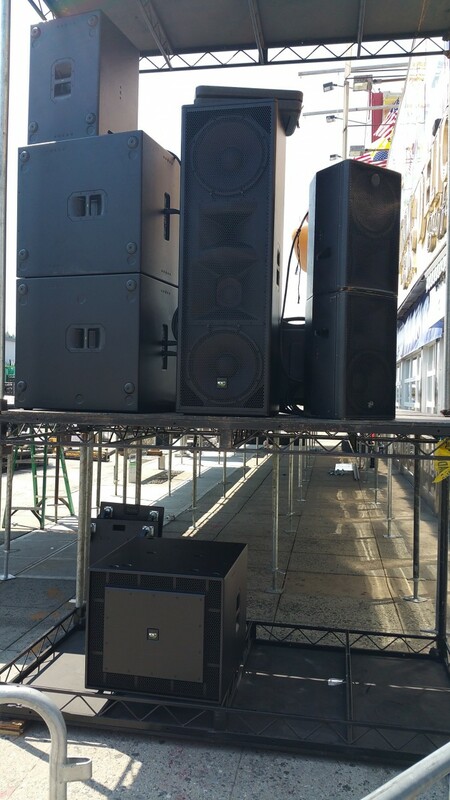 Two front speakers were used, each an EX26, as well as an ESR215 on each side. 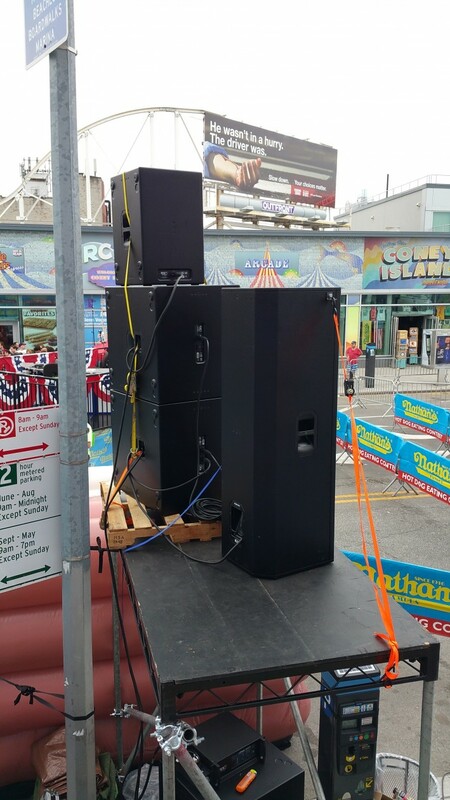 For the delay system, the 47-year sound engineer veteran chose two ES1 speakers on top of two ES1.8 speaker and an ES2.5. 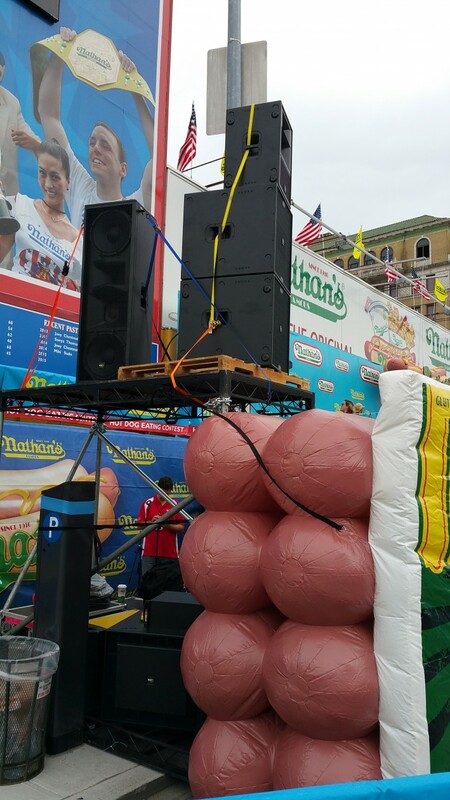 The sound system was also needed for far more than just announcements. 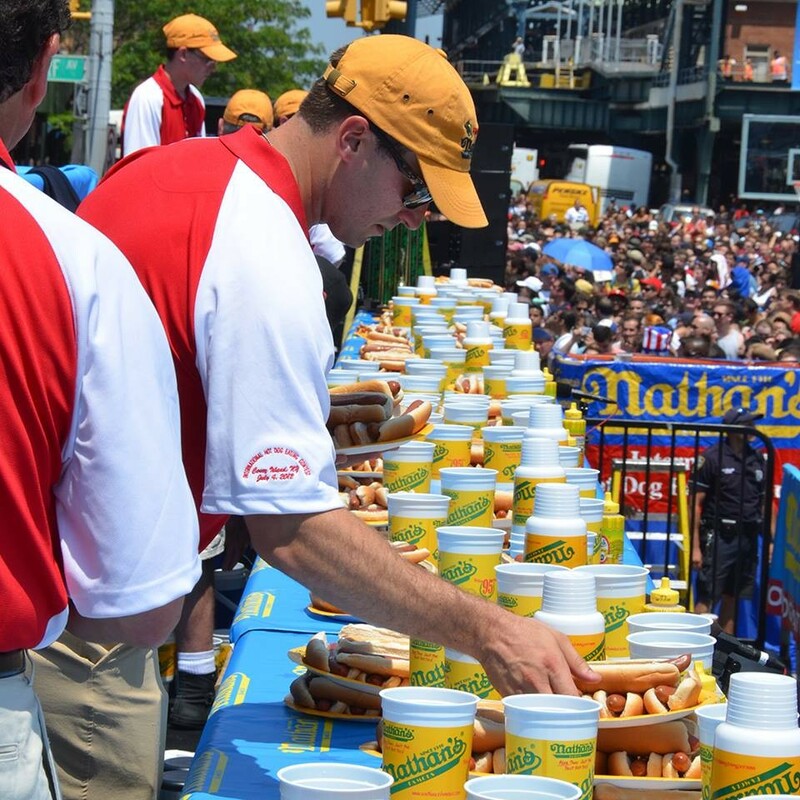 Prior to the main event, during which the winning contestant ate a whopping 62 hot dogs, the audience was also treated to more than two hours of performances from local bands, singers, dance crews, and DJs from the New York City area.